I tried to include of mixture of questions for homeschooled and publicly-schooled peeps, so … this should be good for most everyone? If a question doesn’t apply to you, don’t answer it. 1.When’s your first day of school? 2. What do (and don’t) you look forward to about entering the realm of the dead? Uh, I mean the learned? 3. Homeschooled, public schooled, or private schooled? 5. How many more years of torture do you have to endure learn? 6. What are your goals for this school year? Spend more time schooling and have a better attitude towards math and grammar and other stuff I don’t wanna do. 7. What’s your favorite season to school in? Fall, winter, or spring? Spring! Because then I can go outside and do it in a tree. 8. How is schooling going to effect your blogging? Not in any way much. or maybe I could take pictures of me if I happen to dissect a frog. 9. What’s your favorite school subject? Science and creative writing/english, sometimes logic. Most of the time math. Grammar (that’s funny since I’m a writer who never writes because she’s lazy and because she has WRITER’S BLOCK ALL THE TIME). 11. What subject are you best at? Grammar (except when I have to answer questions you know), creative writing, babysitting (not really a subject), logic (well I like it so I have to be good at it *nods while you shake your head*), music (I just do this for fun though), and math when it likes me (which is usually never). 12. What subject are you worst at? Math. And grammar (notice how I’m also good at it?). 13. What extra-curricular activities are you planning this year (if any)? 14. How are you preparing for life/college this year (on a conscious level)? I’m not really doing anything… if you count saving money then that’s what I’m doing. 15. Do you play any sports in school? 16. Is there any way that schooling is going to help your blogging endeavors? Or how has it helped your blogging skillz in the past? Well it might help. I’m planning to be more organized next school year. It probably won’t do anything for my blogging. 17. How much time a day is school going to take for you? 18. Are you looking forward to seeing friends more often during the school year? 19. Are you dreading or looking forward to the event (or did you, if it’s already happened)? Nope! I’m looking forward for this year to be over so that I can get more organized with my schoolwork. how many times have I said that? 20. What are you most looking forward to about school? 21. How are you planning to fit actual life in with your school schedule? 22. What are your overall thoughts on school? Okay here are Kellyn’s questions again. When’s your first day of school? What do (and don’t) you look forward to about entering the realm of the dead? Uh, I mean the learned? Homeschooled, public schooled, or private schooled? How many more years of torture do you have to endure learn? What’s your favorite season to school in? Fall, winter, or spring? How is schooling going to effect your blogging? What subject are you worst at? What extra-curricular activities are you planning this year (if any)? How are you preparing for life/college this year (on a conscious level)? Do you play any sports in school? Is there any way that schooling is going to help your blogging endeavors? Or how has it helped your blogging skillz in the past? How much time a day is school going to take for you? Are you looking forward to seeing friends more often during the school year? Are you dreading or looking forward to the event (or did you, if it’s already happened)? What are you most looking forward to about school? How are you planning to fit actual life in with your school schedule? What are your overall thoughts on school? I was also nominated by Carol@peekingthroughakaleidoscope. Thank you so much, girl! You’re awesome! Well, my Mom found a website called Edublogs and told me about it. I started a blog there, still called My Homeschool Notebook, where I shared my thoughts and anything, really. After a while, I moved to WordPress because I wasn’t getting much traffic and Edublogs isn’t used that much. Naturally, I switched back and forth between blog themes (because I’m terrible at making decisions). I think Nuclear is the theme I’ve stayed with the longest! After about six months I took a huge unannounced break because I had NO IDEAS… And in April 2017 I made a new blog (with the same title). So thus concludes the story! 2. Don’t push yourself down. Keep trying! Blogging is hard. If you don’t get the amount of followers you wanted in the amount of time you wanted, things will get better; keep trying! Interact with other blogs (but you also need to be careful and discerning of what blogs you check out, and who you interact with). Well I hope you enjoyed reading this! I am pleased to announce that Lydia Howe (aka Aidyl Ewoh) has released her final cover for her book; Where Dandelions grow, which I will be reviewing in her blog tour. Congratulations, Lydia!! There is also a giveaway at the end of this post, so read on to find out about it! Cousins are forever, or at least they’re supposed to be. What happens when your world falls apart and your dreams are mocked by those closest to you? Destiny’s idyllic childhood full of laughter and cousins abruptly ended when her mom uprooted the family to move them across the country with strict instructions to never talk about Swallow Ridge again. Eleven years later Destiny moves back to her hometown, determined to find her cousins… and answers. Plagued by generations of bitterness and manipulation, Destiny hides her life-long goal – unwilling to let anyone else trample her fragile dreams. But living in the cozy town full of dandelions teaches Destiny there’s more to life than what she’s been taught. Is it possible Swallow Ridge not only holds the answers Destiny so intensely searches for, but also the hope? So comment down below and help me celebrate with Lydia. Look out for an author interview with Lydia and a review of her book. Also, check out her blog HERE! Do you know how I made slime in this post? And remember how I made it too brittle? Well I was experimenting and I put some QV lotion in it and it made it stretchier and less brittle! 😀 I know it sounds weird, but it works! Anyway, here are the results for Define That Word #2! I stalled. Again. YOU ALL TIED WITH 3 VOTES EACH. Great job! I thought all your definitions were awesome. TESS (BLACKIESUNSHINE)! YOU WON THIS DEFINITION WITH 5 VOTES. TESS AGAIN! YOU WON THIS DEFINITION WITH 7 VOTES. TESS! wow. YOU WON THIS DEFINITION WITH 4 VOTES. With a total of 19 votes. 🙂 Congrats Tess (blackiesunshine)! As some of you may know, our government isn’t minding their own business and wants to control what our parents teach us as homeschooled children. They want bullied kids to have to wait 28 days before their parents can pull them out of school, and the parents have to submit a full overview of their curriculum, and parents don’t really have the right to choose their child’scurriculum. You can see the post here. I wasn’t too happy with that AT ALL, because parents should have the right to choose their child’s curriculum. So yesterday, my Mom traveled to the city to the Parliament with another homeschooling Mom. I should have went with them, but the train ride was too expensive. When they got there, homeschoolers, parents and children alike were campaigning for PARENTAL RIGHTS. The downside is that bullied children still have to wait 28 days before being pulled out of school, and their parents have to show their curriculum. I feel sorry for future home educators; I can imagine how stressful that would be. We still have to submit our curriculum and an overview of what we’ve done during the year, BUT if they don’t like it, they can’t do anything about it. I’m not too fussed about that, though. I know so many homeschool parents with large families, and it’ll be hard to collect their children’s work over the year. It’s not as bad, and parents still have the right, but there are a lot of homeschoolers who are still disappointed. Did you enjoy the definitions? | What do you think about the results? | Would you be annoyed if you had to submit your work at the end of each year? Being a cripple is only the beginning of Lia’s troubles. It seems as if Bioti’s goal in life is to make Lia as miserable as possible. If Lia’s purpose is to be a slave, then why did God make her a cripple? How can He make something beautiful out of her deformity? I really loved this book, a little more than the first one. The action was really good. I thought Raoul would be a teeny bit more happy when he found Ellia, but that’s okay. I really loved Ellia’s character; stubborn, proud. But I didn’t like Dumphey at all. Sometimes it felt like he was older than Ellia, all though it did mention that he was younger than her. The writing, the dialogue, the characters, the setting; everything was amazing! It is such a heartwarming novella of faith and a Father searching for his daughter whom he’d thought was dead. I loved this book! There is no magic, not like the typical Cinderella story you all know, and instead of a Prince, it’s a Father! Not much content warnings. Bioti slaps Ellia. No romance, no violence. Perfect for tweens or younger, or maybe young adults. Six-year-old Judy is more than happy to trade her mother’s neglect for her father’s adoring care. 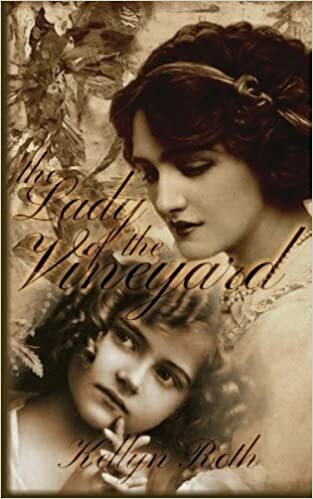 She loves his vineyard and wishes she could stay there forever … but someday she must return to England and her mother. However, Judy isn’t sure she can ever trust her mother again. 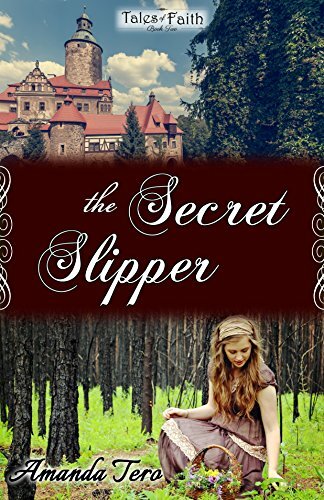 A novella set in pre-WW2 Europe, this sweet story is sure to delight lovers of light-hearted historical fiction. Can a family come back together, or has too much time gone past? Wow. This novella is amazing! I loved Judy and her father. However I don’t think Adele (Judy’s mother) was really keeping Judy away from her father. The book did say that Adele invited him to come to see Judy, but he always refused… That part I didn’t understand. (Kell if you’re reading this, maybe you can give me an answer? XD 😉 ) I also thought Colette sounded too old for her age. Kellyn’s writing is amazing, simple to understand, and the setting was perfect. I loved this book and I was really excited when I got it for free today on my Kindle! Unfortunately, by the time I got this post up it wasn’t free anymore. But buy it anyway will you This was a beautiful story that I absolutely adored. There is some romance, a great book for tweens, teens, and young adults. Amanda Tero is a homeschool graduate who desires to provide God-honoring, family-friendly reading material. She has enjoyed writing since before ten years old, but it has only been since 2013 that she began seriously pursuing writing again – starting with some short stories that she wrote for her sisters as a gift. Her mom encouraged her to try selling the stories she published, and since then, she has begun actively writing short stories, novellas, and novels. If something she has written draws an individual into a deeper relationship with Jesus Christ, it is worth it! Thank you for reading that and I hope you check out these books! I will be trying to post twice a week from now on, no specific days. I know awards are not what you want to see, but I need to get them done. 🙂 So that this post won’t be insanely long, I’m going to include the Liebster Award into one award, except with more facts. Thank you so much to Rebecca, Yash, Beezus, K.A , and Eliza for nominating me for this award. 🙂 To anyone else who has nominated me for this award, THANK YOU! Nominate 5-11 bloggers whom you feel deserved this award and have less than 200 followers. I’ve been playing the piano for 8 years. I’m going to be acting in a The Sound of Music play next year. Woohoo!! I love that movie! I’m going to faint before these 50 facts are over. I’m in the process of writing three books. I’m also writing a prompt book, so four books. I’ve been homeschooled for forever. I can’t do a cartwheel or a handstand. I love logic and analyzing. Guys I can’t think of anymore. XD I already did ten eleven facts in the last Liebster award and the rest you already know about me! When I first started blogging back in 2015, I started it because I wanted a place to share my thoughts, and my life. Over the months I’ve been blogging, I’ve kind of been trying to be like other blogs. Change my content so that people will read my blog as much as they read someone else’s. Make it as pretty so people will visit it more. That’s all good. It’s a good thing to make your blog likeable and appeasing to your readers. That’s why I have a blog survey. 😉 But don’t try too hard, guys! Blogging should be a thing where you can vent out your feelings and share your life. Have fun and don’t stress so much! Personally, I like reading blog posts of people’s thoughts and their life. Other posts are good too, and I’m not saying you shouldn’t do posts other than what I’m talking, but I don’t think we, as bloggers, should spend so much time trying to please our readers. I’m struggling between having a schedule or not. I feel having a schedule is kinda limiting, because I should be able to post whenever I like. But I also think schedules are good, so I can be consistent and not run out of posting ideas. I’ve put heaps of my posts back into drafts because I’m afraid people won’t enjoy reading about my life. First, I just want to apologize to all the bloggers who’ve nominated me for the Liebster Award or any other tag/award. I’m sorry for the delay in posting them, but I will soon, as well as the results for Define That Word. Megan, I’m on Team Watermelon. 🙂 Anyone on my team, don’t forget to post extra photos to make up for the team members who aren’t able to enter any! I’ll post extra pictures on the BIBPC page as soon as the next category comes out! What do YOU think blogging is about? | Do you agree with me? Or not? | Do you agree that I ruined the whole post with that last paragraph (apart from BIBPC)? | Do you like reading posts of people’s lives, their adventures and their thoughts?